If you are considering becoming a Certified Tile Installer, your future looks bright! You see, flooring installers - and particularly quality installers - are in short supply. In fact, the floor covering industry considers this so critical that it held an Installation Summit focused on installation issues and opportunities, including those relevant to tile. In this article, Bart Bettiga, National Tile Contractors Association (NTCA) Executive Director and CTEF Board Member, shares highlights from the session. In early August, the National Tile Contractors Association and the Ceramic Tile Education Foundation participated in an invitation-only Installation Summit, promoted by leaders of the Floorcovering Leadership Council and managed by Informa Exhibitions. The event took place at the Omni Dallas Hotel. 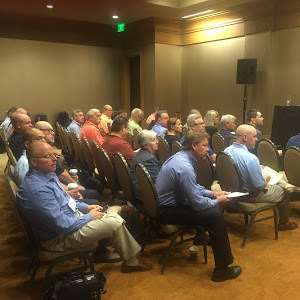 Over 70 industry professionals, including 25 from the tile and stone industry, came together to address what many people are now referring to as an installation crisis, especially as it relates to overall quality and availability of a trained workforce. This was an important first step in addressing a serious issue. For many years, the lack of qualified installers has plagued our industry. With the economic recession now in our past, and a steady increase in growth in all flooring segments, we find ourselves faced once again with this shortage. What makes this even more challenging is that a new generation of workers does not appear to be on the horizon. Talk centered around all the great jobs available in the flooring industry, and the realization that there is very little awareness of these opportunities, not just in installation but in sales, design, management, etc. By holding an installation summit, we’ve brought all the groups together, to identify common challenges, with the hope of a collective approach to address a potential crisis in all segments. Training and apprenticeship programs, certification, on-line education, and recruitment of new people into the trades were all listed as critical items to work on collectively. 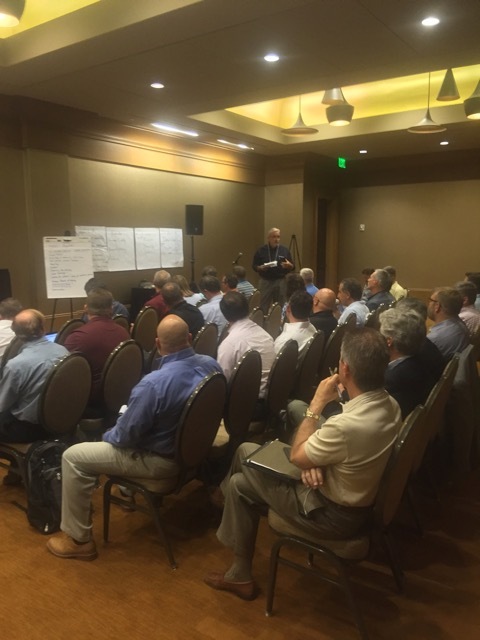 Following this town hall group approach, tile and stone leaders met in intensive breakout sessions, seeking feedback to association direction in our industry. Representatives of the NTCA, MIA and BSI, and the CTEF were able to engage with our members for a focused discussion of how to work with other flooring industry segments. On the second day of the summit, all the attendees got back together to discuss next steps. The leaders of the Summit came out of the meeting with some clear direction. The group agreed an awareness campaign needs to be developed so people can be made aware of job opportunities in the industry, with a special emphasis on installation as a trade. In order to accomplish this, the leaders of the summit agreed that a small group representing a cross-section of the industry will need to be created to brainstorm how to achieve these steps. This group will be appointed by summit leaders, and will work closely with the Floorcovering Leadership Council for support and direction. The NTCA would like to thank its staff, contractor and associate members who attended the event and provided valuable feedback. We are committed to participating in the committee, and will give a full report to our board of directors at our annual meeting, held in conjunction with Total Solutions Plus October 22nd-25th in Palm Springs, California. >> Watch the 8:40 minute Floor Trends video interview with Bart Bettiga. At CTEF, we're very excited about the future for those who are passionate about tile installation. And so are those who have already become Certified Tile Installers! >> If you haven't already, read Thin Tile Installation Expertise Creates Clubhouse Bar & Lounge where CTI #001 Dan Welch describes how he is promoting tile installation employment opportunities in his area. >> Read about the 5 Benefits of Being a Certified Tile Installer from CTI #1112 Mark Heinlein. Consider registering for tile installation certification and training events available around the United States. You won't regret it! If you have ideas on how to raise awareness for the opportunities in flooring installation, let us know in the comments form below.